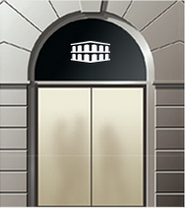 After-sales service is one of Les Ambassadeurs' strong suits. 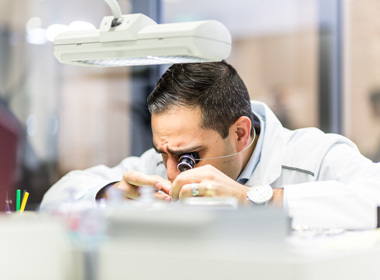 In every boutique, our experts - a team of master watchmakers - handle repairs and servicing in specially equipped workshops, which customers can view from behind glass. This level of transparency enables customers to get an idea of what exactly happens to their watch. In this way, professional, specialised service is the key to successful after-sales service. Every watch requires a certain amount of care and monitoring a er purchase. Regardless of whether your watch is an everyday favourite or just for wear on special occasions, everyone hopes that their watch will last for as long as possible. 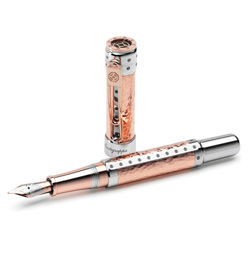 To help make this possible, we have worked together with our team of experienced watchmakers to compile a selection of tips and helpful advice for you. Should you have further questions or suggestions, please feel free to contact us at any of our boutiques using the respective contact details provided. Une montre mécanique doit, de préférence, être portée régulièrement. Les huiles qui en assurent la lubrification évitent ainsi de se consolider et de former des agrégats. Ceux-ci peuvent altérer la cinématique des rouages et, par conséquent, diminuer la précision de votre garde-temps. Il est en outre recommandé de protéger vos pièces de l’humidité et des rayons du soleil. Les variations de températures dégradent la préservation du mouvement et accélèrent le vieillissement du bracelet. A défaut d’être véritablement portée, il est conseillé, une à deux fois par mois, de remonter totalement la réserve de marche de votre montre afin de la faire fonctionner. Une rapide mise en route de ses complications (par exemple un changement de date, un démarrage puis un arrêt ou une remise à zéro du chronographe) permet également à la mécanique de votre mouvement d’être entraînée. Dans tous les cas de figure, le remontage de votre montre ne devra jamais être forcé : un remontage extrême n’augmentera pas la durée de la réserve de marche. Il est préconisé d’arrêter le réarmage de votre garde-temps dès qu’une résistance se fait sentir au niveau de la couronne. Rassemblez à un seul et même endroit tous les documents liés à votre montre – de la facture d’achat au carnet d’entretien, en passant par les changements de pile ou de bracelet. Cependant, ne laissez jamais votre garde-temps aux côtés de ces papiers. En cas de vol, la recherche sera facilitée si vous disposez de tous les documents. Par mesure de sécurité, Les Ambassadeurs vous recommande de systématiquement photographier votre montre, lors de son acquisition, aux côtés d’un objet qui vous appartient déjà – et idéalement d’un moyen de dater le cliché. Cette preuve d’achat est particulièrement recherchée par les assurances lorsque la facture n’est pas en mesure d’être fournie (perte ou vol). Il est également souhaitable de conserver un double numérique de la facture. N’hésitez pas à solliciter le service après-vente de Les Ambassadeurs pour obtenir un certificat d’assurance ou une copie de la facture originale. The distinguishing feature of a self winding (automatic) watch is an oscillating weight (rotor) that can be seen or heard rotating at the case back. There are two ways to wind an automatic watch. The first method is self winding, which is selected by the motion of the wrist when the watch is running normally. Depending on your activity level, allow half a day for your watch to self wind. If the watch has stopped, it can be wound using the crown (15 to 20 turns). Thee second option is to use an automatic watch winder. More sophisticated watch winders can be conjured to the appropriate direction and speed. The correct settings for your watch will be recommended to you by our sales advisers. It is not advisable to engage in intense activity such as sports with the intention of winding your watch faster. The natural motion of the wrist will wind the watch more gradually and is less demanding on your watch. If your watch has a screw-down crown (common in sports watches) remember to screw the crown back in a er winding to maintain water-resistance. Do not overtighten the crown as this could damage the seal and compromise the water-resistance of the watch. We recommend you set the time and date before winding your watch. You can then adjust for the elapsed minute using the crown. you do not need to wait for the watch to stop before winding it. Regular winding will help preserve the accuracy of your watch. A quartz watch is powered by a non-rechargeable battery specific to the model. Battery life is generally two to three years, irrespective of your level of physical activity. Regular use of any complications in your watch (such as the chronograph or alarm) may reduce the battery life. If you do not wear your watch for a certain period of time, the chemical stability of the battery may become compromised. In such an event we recommend that you consult the watchmaker to ensure that there is no damage to other components in the movement. 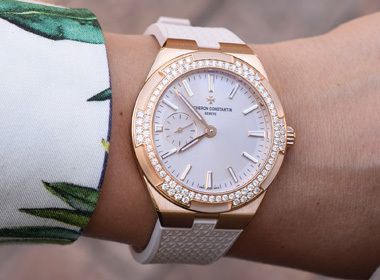 Avoid exposing a quartz watch to sunlight as the battery is sensitive to high temperatures. Also note that only a certified watchmaker can replace the battery of your watch. if the date does not change when it passes the top of the dial, it’s midday. If it changes, then it’s midnight. Setting the moon phase is based on the date, but must be carried out according to the annual full moon calendar (available online). You only need to display the last full moon on the date indicated in the calendar, and then manually change the time until it shows the current date. The moon phase will follow automatically. The perpetual calendar is adjusted in the same way as the date. However, you must complete it by manually adjusting the day of the week, the month, the year (as well as whether or not it is a leap year) and, if needed, the calendar week. Some watches have a push-piece or a crown which you can use to move all of these variables simultaneously, usually by advancing the hour. The operation takes longer, but is simpler. Other watches have individual correctors, which makes setting the time faster. and other everyday objects that contain magnets. Depending on the duration and intensity of exposure, these items can magnetise the movement of a mechanical watch and compromise the accuracy of the timepiece. In the event that your watch is magnetised, a qualified watchmaker can demagnetise the movement and restore its full functioning. To avoid the risk entirely, wear a watch that is not sensitive to magnetic fields. Two types are available : magnetic-resistant watches are made from silicon components that are resist- ant to magnetism, while anti-magnetic watches house the movement inside a Faraday cage that protects it from magnetic forces. Generally speaking we recommend not exposing your mechanical watch to very high levels of magnetism. The water-resistance of a watch is measured in metres or atm. In terms of water-resistance 1 atm is equivalent to 10 m, 2 atm is equivalent to 20 m, and so on. Please note that metres do not correspond to the equivalent underwater depth. A watch with water-resistance less than 5 atm should not be immersed in water. A surface splash should not affect the water-resistance, but the impact of submersion would risk damaging the timepiece. If you plan to wear your watch day-to-day when washing your hands and showering, we recommend a water-resistance of at least 5 atm. If you wish to wear your watch for swimming, water sports, and other day-to-day exposure to water, you will need full water-resistance, which is guaranteed over 100 m (10 atm). Note that for diving you will need a purpose designed diving watch. The water-resistance of a watch is guaranteed for a limited time. 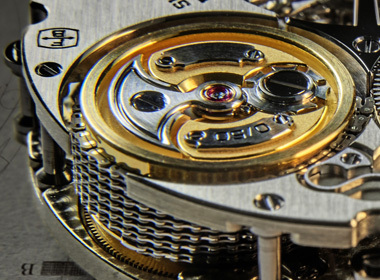 We recommend having mechanical and quartz watches serviced every one to two years. The water-resistance of quartz watches can be checked when replacing the battery. The water-resistance of a vintage watch cannot be guaranteed unless it has been recently serviced by a certified professional. – Violent impacts, even if they leave no visible marks, may damage the water-resistance (and functioning) of the watch. – Never set your watch underwater as water could leak into the case when you pull out the crown. – Should your watch have a screw-down crown, ensure it is fully tightened before exposing to water. – Should you wish to regularly wear your watch underwater, we recommend you use a suitable strap. Choose a rot-proof metal bracelet or a quality leather strap designed for use with diving watches. – Should you notice condensation or moisture inside your watch, present it to Customer Service immediately for servicing. Our watchmaker will fix the water-resistance or carry out a complete overhaul. Should you notice condensation or moisture inside your watch, present it to Customer Service immediately for servicing. Our watchmaker will fix the water-resistance or carry out a complete overhaul. A mechanical watch beats at over 500,000 vibrations a day, activating between 200 and 250 components one by one – some of which are no thicker than a strand of hair – and all adjusted down to the micrometre. Given this, we can better understand why a mechanical watch needs to be serviced regularly. It is generally recommended to do so every three years. 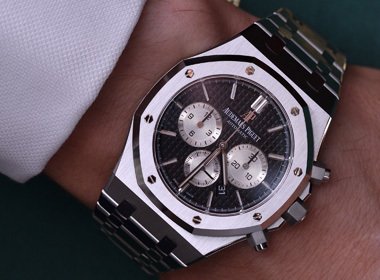 By this time, a conventional watch will have totalled over half a billion vibrations. Lubrication is the key element for the proper functioning of any kinematic chain. Once the components have been dismantled, the watchmaker cleans them, thereby eliminating any build-up of solidified oil that may have occurred. The components are then reassembled. Oil and grease are added throughout reassembly. The adjustment of the rate is the most important task the watchmaker will perform. By means of adjusting, the watch’s original precision will be restored. It should nevertheless be noted that watches that had chronometer certification when they were new are not given a new COSC certificate upon servicing, unless the client specifically asks for this. As far as the external parts are concerned, the watchmaker cleans the case, crystal and strap. This is done by means of ultrasonic cleaning, which eliminates all of the invisible impurities from the external structure of the watch. The piece is then polished, restoring its original shine. The watch’s gaskets are also replaced. These procedures apply to both mechanical and quartz watches. 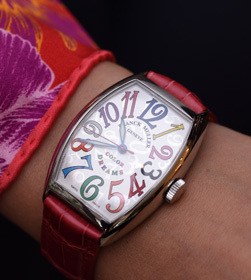 Straps made of hide – leather, for example – may be changed if the watchmaker believes that they risk breaking. All of these procedures can be found in the watch’s maintenance booklet. Your watch strap requires specific care appropriate to the material. However a common rule for all non-metal straps is to avoid prolonged exposure to the sun, which may taint or crack the natural material and fade the colour. Solid metal bracelets (gold, platinum, steel, titanium and combinations of metals) can be cleaned at home with tap water and a little detergent. Rinse with water. A watchmaker will carry out an ultrasonic clean to eliminate all impurities. The bracelet can also be polished to restore its original sheen. Do not clean with a microfibre brush, which may scratch the surface of gold and other metals. Straps made from leather, shagreen, snake skin and other natural materials should never be exposed to water or other liquids, which could damage the surface as well as the reinforcement lining inside the strap. Use a shoe brush for day-to-day cleaning and condition with a dab of leather cream if desired. To avoid ageing the strap, do not pull or twist it unnecessarily. When putting on, adjusting or taking off your watch, use the ardillon buckle rather than handling the strap itself. Synthetic and fabric straps tend to be sturdy. We recommend rinsing with tap water after contact with salt water. If your strap is made of mixed materials such as leather and rubber, consult your watchmaker for specific care instructions. An automatic watch will stop if not worn for 42 hours or longer since motion is needed to activate the self winding mechanism. A watch with only hours and minutes can be easily set a er stopping. However it is tedious to set a watch with complications such as the date, time or month, the day of the week or a perpetual calendar. 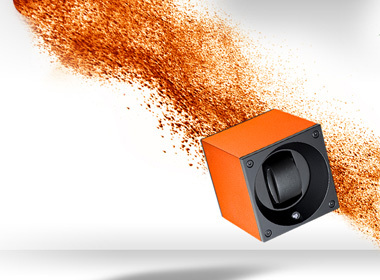 A watch winder is a convenient solution to keep a watch from stopping. We recommend watch winders which can be conjured according to two variables: winding direction and duration. If your winder does not offer bi-directional winding, you will need to be able to choose the winding direction that is appropriate for your watch. If you have a vintage timepiece or other type of watch that is sensitive to overwinding, you will need to be able to configure the appropriate winding time. Set the winder to stop once the barrel spring of the watch is fully wound. It takes on average 1,500 to 1,800 turns to wind a watch. Some winders have automatic or programmable sleep phases. Watch winder safes are also available, offering secure storage whilst winding your watch. 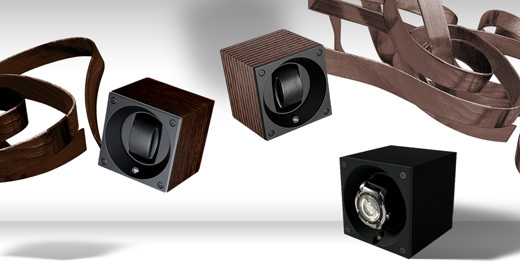 It is essential to choose a good quality watch winder that will safely hold your watch in place. The motor should have a long service life. 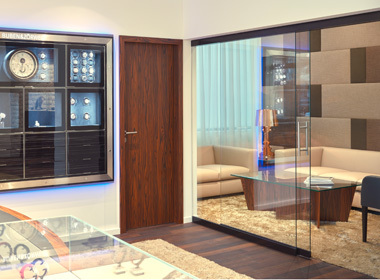 If you plan to use the winder in your living area, look for a device with the best possible sound-proofing. Finally, a good quality watch winder should o er adequate insulation between the motor and the timepiece to prevent magnetisation of the movement.